Sometimes the simplest digital branding ideas can be amongst the best. Having lived for the past four years in a country with the Scandanavian retailer IKEA, it is easy to become reliant on the ease of redecoration at low cost. Now that I have returned to another country where this retailer does not yet have a presence, I feel somewhat deprived (and it is not just the meatballs on the menu!). 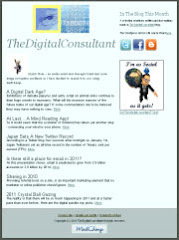 All however is not lost, as now there is a digital presence to remind me of their operation and product line. Here's the innovative method of digital branding from IKEA. 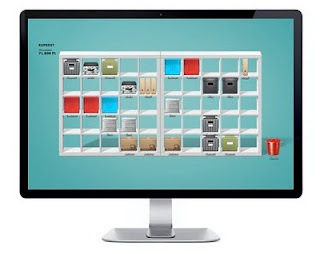 Known for their low cost flatpack storage units they have translated these into a downloadable desktop set. The app comes from Hungarian agency Laboratory Ideas. "From the beginning we tried to help you organize your home a better and more efficiently. The world is changing, but the challenge for us remains the same. 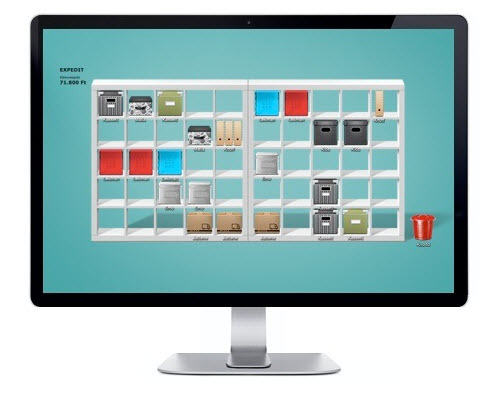 So we created "e-folder set", a virtual version of the famous IKEA organizers." So now you can virtually decorate your folders and screen to make it look more homely. A few clicks and you have practical, transparent shelving / storage units, where you can easily find anything. Try it for yourself by downloading the zip file from this site. Now I wonder what would be the result if the Subway brand was to do the same? The use of social media aggregation to publication has been around for some time. One such example is the Swiss company Small River, whose Paper.Li which takes your daily tweets and creates an online publication from them. 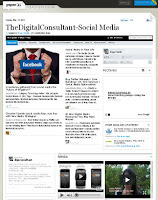 I have used this platform to segment thedigitalconsultant tweets into three distinct publications. Paper.li also has edition control - daily, weekly or morning & evening.. With the rapid growth in tablets such as the iPAD, this format has many attractions for spreading your content still further. 5. Facebook based papers - giving you the ability to create a paper based on simple search terms. These papers are created on public posts. All of the above offer ample opportunities for event marketing and target segmentation. News today that another social network, LinkedIn, is taking this 'entry to journal' principal a step further. 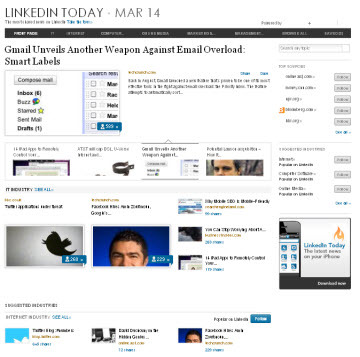 As it prepares to list publically, the company has upgraded its web site with a new feature, LinkedIn Today. With more than 90 million professionals using its network it is certainly time to try and broaden the companies public appeal and try and boost user activity. LinkedIn Today allows the user to tap into articles that are being shared by their connections or by people in their industries. 1. What your connections and coworkers – people you know – are sharing. 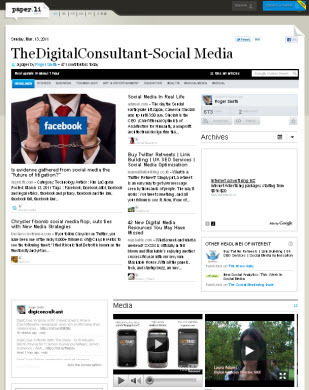 Offering users a personalised news stream is seen as a way of encouraging users to spend more time on the site. Only time will tell if this is so. Being able to see who followed a topic headline provides insight into LinkedIn users who share a link publicly. This content distribution also points to the advantage of having your content propagated and shared, as opposed to spending money on online advertising. Your messaging is not diluted and the reach potential is as great, or greater, for less cost. So will LinkedIn Today prompt me to use the social network more often? To be honest, I doubt it. I find Paper.li's functionality far more engaging with greater editorial control over what I wish to publish or view. LinkedIn's niche is professional networking and while job seekers make full use of it, most of them will still get their news from other media sources, Facebook and the more immediate source Twitter.